Do you all your tee shirts end up becoming undershirts? If they get holes in them after a few washings, become so thin your skin shows through, and begin to fray away after a little bit of use, you're wearing the wrong kind of workwear. You should switch to this Ba ... (see full details) (see specifications) #BAY5100NVY. Do you all your tee shirts end up becoming undershirts? If they get holes in them after a few washings, become so thin your skin shows through, and begin to fray away after a little bit of use, you're wearing the wrong kind of workwear. You should switch to this Bayside Men's 5100 NVY Navy Blue Pre-Shrunk Cotton USA-Made Work Shirt instead. Made with heavyweight cotton material, this Bayside shirt it made to stay tough. The heavyweight material resists wear and tear and stands up to machine washing. It's 100% cotton material; fabric that's naturally soft and breathable against the skin. Even in the heavyweight construction of this American-Made shirt, cotton is touchable and comfortable. The 6.1 ounce material is made for durability, but it's also designed to fit well. This navy blue shirt has been preshrunk before you ever put it on, and the full cut design is meant to feel a little bit roomy and comfortable. Shoulder-to-shoulder taping provides a wide, roomy fit across the back as well. For even more durability, this men's shirt has been made with double-needle hems. Two threads, not one, were used to keep the edges of this 5100 NVY shirt tough against fraying and wear. Made in the USA, this Bayside Men's 5100 NVY Navy Blue Pre-Shrunk Cotton Work Shirt will stand up to wear and tear. Don't you want to start wearing your shirts where others can see them? 42 out of 42 people found this product review helpful. This is a great, well made shirt that has held up wash after wash, hasn't faded and maintains it's shape. It's not like your normal undershirt. 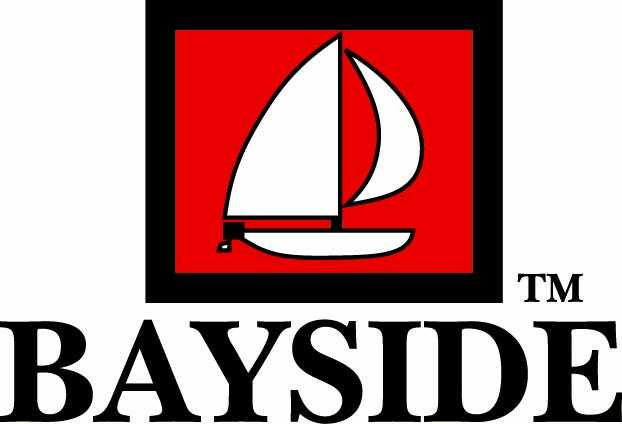 This Bayside is 100% cotton and is made to last. It is preshrunk but they made it a with a lot of room, so if you wear an XL...order an XL and you don't have to worry about it riding up or coming out of your pants if you have to reach over your head. I really like the feel of this shirt and I do recommend this one. Great heavy weight cotton tee shirt. Plenty of room to move and the fabric breathes very well for the weight. Collar sometimes rides up a bit and I would prefer a tag less shirt, Especially when wearing this an an under shirt. This is a minor issue since the tag can easily be removed with a knife or pair of scissors if it becomes annoying on the job. This is a great shirt for the price. It is great that it is made in the United States! Glad to be able to find products that are domestically made. It has worn well over multiple washes and is comfortable to wear. Seems like it is going to last for awhile. This is a product that I would consider purchasing in the future. Bought this shirt back in 2015, I was happy with it then and I'm even more so now. This shirt has not stretched out and is still as heavy duty as the day I bought it. It has faded ever so slightly but that is to be expected when worn 1-2 times a week and washed as often. Just bought 2 more in Black. Bayside Shirts: Men's 5100 NVY Navy Blue Cotton USA Made Work Shirt is being added to your cart.